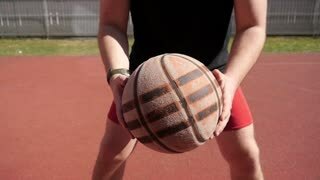 Search Results for "basketball street"
Teenage streetball player dribbling and bouncing the ball on the floor, passing to his teammate while playing basketball game on street. Basketball guard stealing a ball and running in fast break. 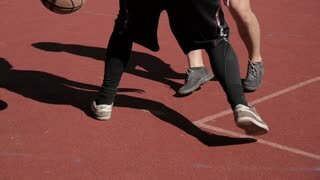 Teenage sporty streetball team making bounce passes to teammate to score field goal during basketball game on street court. Young basketball player making an successful assist to teammate outdoors. 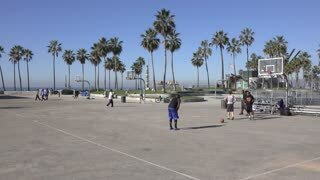 Active sporty streetball players fighting for rebound after missed shot while playing basketball game on street court. 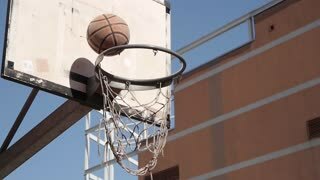 Teenage friends playing streetball outdoors and jumping to take rebound. Slo mo. Street basketball game in slow motion, New York City.